Where fun and adventure begin! ARE YOU 12 TO 18? THEN LET'S GO! 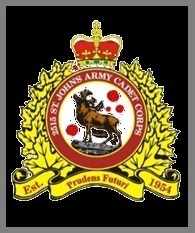 2515 St. John's Army - Royal Canadian Army Cadet Corps (2515) is the largest and most prominent Army Cadet Corps in Newfoundland and Labrador. Led by Canadian Forces (CF) Officers with specialization in the training and administration of youth, 2515 is located at the LCdr W. Anthony Paddon Building at the Canadian Forces Station, St. John's, and is an affiliate unit to the 1st Battalion Royal Newfoundland Regiment. We train Wednesday evenings from 6:30 PM to 9:15 PM. 2515 receives applications throughout the year (see Join Us). You can also call or text us at (709) 769-4220; or email 2515stjohnsarmy@gmail.com. It may be the best thing you ever did for your child. 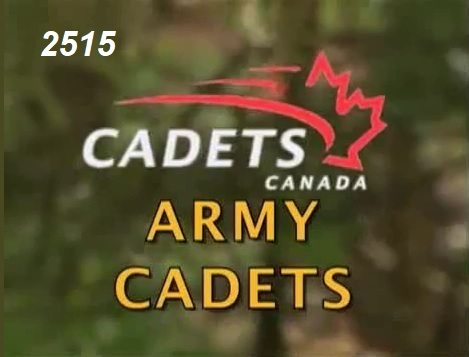 The Royal Canadian Army Cadets is a federally sponsored FREE program for youth designed to develop leadership, promote physical fitness and encourage community service. Army cadets can attend summer training centres, learn about leadership, navigation, camping and survival, canoeing, abseiling, trekking, mountain biking, sports and volunteer community support activities. Specialized training is also available in marksmanship, biathlon, music, orienteering and many other areas. 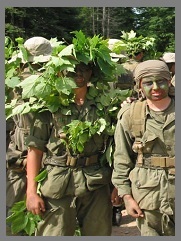 Officers of the Cadet Instructors Cadre (CIC) are members of the Canadian Forces Reserve whose primary duty is the supervision, administration and training of youth from 12–19 years. St. John’s, Newfoundland and Labrador. Prudens Futari - Wisdom and strength for the future. Acer Acerpori - As the Maple, so the Sapling. © Copyright 2018 2515 RCACC. All Rights Reserved.